If your gas grill simply isn’t cooking vegetables or prime cuts of meat like it used to, then perhaps it’s time you begin your search for a new one. 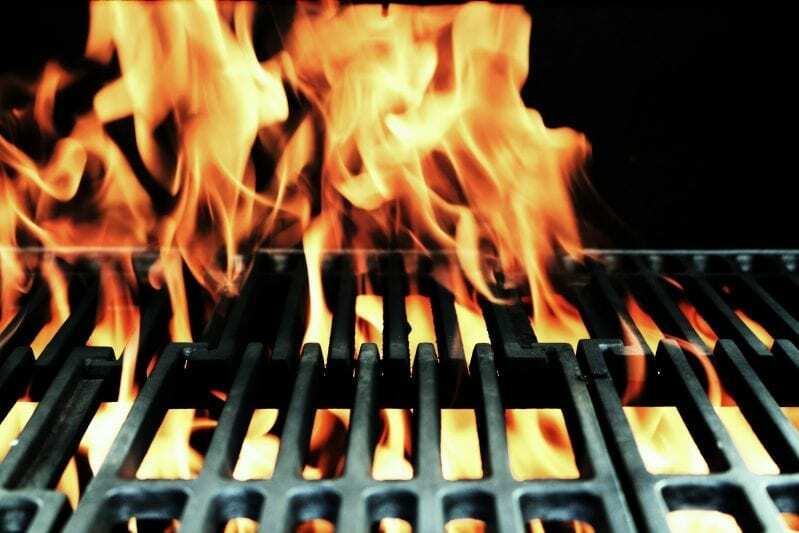 A lot has changed about the outdoor grill industry in the last 20 years, so we have found a variety of grill manufacturers in order to cater to all preferences. To begin your search, you should keep reading for a brief look at the six affordable gas grills that come highly recommended. Don’t let the small size of the Cuisinart Petit Gourmet Gas Grill fool you because it can cook to the same capacity as a full-size grill. In fact, you can feed anywhere from four to six people using this affordable gas grill without having to waste propane since this small grill only requires a bit of it. Your money won’t go to waste when you invest in this portable gas grill. A majority of buyers exclaim at how user-friendly and convenient the Cuisinart Gas Grill is to use. Setting up, storing, cleaning, or moving this gas grill will only take minutes out of your day, so you no longer have to dread having to use it. When you take the Cuisinart Petit Gourmet Gas Grill out of the box, it’ll come fully assembled. Thanks to its lightweight, briefcase-inspired design, you can readily transport it to any event it’s needed. For instance, this is the perfect grill to take with you to a tailgate party or camping trip. The Cuisinart Petit Gourmet Gas Grill won’t cost an arm and a leg and is a small price to pay for all the meals you could make on it. To throw a proper family cookout, you’ll find that the Char-Broil Classic 280 Gas Grill is your best bet to impress everyone with your cooking skills. Those new to cooking on a gas grill might want to stay away from this one because it’ll take several tries before you get the hang of using such an elaborate grill. This grill features a 2-burner heating system, which makes 2-zone cooking a possibility. Across the 280 square-inch cooking surface, you can cook a whole meal for your family on it. There is even an upgraded model of the Char-Broil Classic 280 Gas Grill that comes with a side burner that’s perfect for making some side dishes. Don’t expect to get far with the Char-Broil Classic 280 Gas Grill because it is not built for a camping trip. However, due to the two six inch wheels located on the end of the grill’s two fixed legs, you can easily roll it out of your garage and begin cooking on your lawn. The price tag of the Char-Broil Classic 280 Grill comes in two levels, dependent on if you want to opt for the additional side burner, which we think is a good idea. Transform your patio by adding the Dyna-Glo Smart Space Living Gas Grill. All your neighbors will be envious of the delicious food you’ll be cooking as a result of upgrading your old gas grill to this high-performing one. You don’t need to have background knowledge regarding how to cook on a grill when you use the Dyna-Glo Smart Space Living Gas Grill. This comes as a surprise since this grill comes built with three stainless steel burners. Operating grills that come with this many burners tends to be challenging because the heat doesn’t always transfer evenly. This grill differs from its competitors in that it will always transfer heat evenly, so your food cooks to perfection. Heat transfers so efficiently because the three burners are located inside the porcelain enameled steel firebox, which works to deliver consistent heat across 507 square inches. Not only do the porcelain-enameled steel heat tents function to protect the burners, but also to vaporize the juices of the food to ensure flavor. Blackstone made its mark in the outdoor cooking industry back in 2005 when it revolutionized the market with its innovative Blackstone griddle that is still a bestselling item. For the past 13 years, Blackstone has assembled the brightest minds to come up with a new and improved gas grill, and the result ended up being the Blackstone Table Top Grill. If you’re in the market for a portable gas grill that won’t make a dent in your wallet and won’t stress you out, then you have found what you’ve been looking for with the Blackstone Table Top Grill. You can readily make a hearty meal on the go with this 17-inch gas griddle. Keep in mind that this grill is not ideal for cooking huge pieces of meat. Instead, you should consider cooking food such as eggs, burgers, pancakes, or bacon on the steel surface of this grill. Since this grill is compact in size, it’s no surprise that it comes with a single stainless steel burner. The heat that comes from this single burner will spread evenly across the griddle, which is a rare design feature to find in a grill this cheap. Costing well less than $100, the Blackstone Table Top Grill is one of the most affordable gas grills mentioned. The Weber Q1000 Gas Grill is an enhanced version of the Q100 model. Weber improved on the flaws regarding the overall design of the Q100 Gas Grill that buyers pointed out. When the Q1000 hit the market, it was an instant success and continues to function to this day. One issue buyers had with the Q100 model is that the grips on both the knobs and handles were too small. To address this issue, Weber released the Q1000 Gas Grill to come built with larger knobs and handles. You now have a firm grip on the lid of the grill, which makes cooking a lot less stressful of a task. Also, setting up the Q1000 Gas Grill takes much less time than it does to get the Q100 one up and running. Even if you’ve never set up a grill, you won’t have a difficult time figuring out how to put the Q1000 together. When it comes to user experience, it’s safe to say that the Q1000 beats the Q100 in regards to functionality. The large handles and knobs as well as the easy to read temperature gauge ensures you cook your food to the proper temperature underneath one burner. The Weber Q1000 costs less than $170, making it more expensive than the Q100 model which is understandable. You can expect perfect and professional results whenever you use the Cuisinart Chef’s Style Gas Grill. A majority of buyers recommend this specific gas grill as a gift because it requires no effort to set up, to operate, or to clean, and can perform a variety of cooking methods. The Cuisinart Chef’s Style Gas Grill is ideal for those who wish to improve their grilling skills and prefer complete operational ease. You can toss away your matches because they’re of no use when it comes to setting up this affordable gas grill. Due to its electronic ignition system along with its two-burners, the Cuisinart Chef’s Style Gas Grill can be fully functional within ten minutes. You can even control each burner by rotating the respective control knob, which is a feature the competing gas grills lack. For less than $150, the Cuisinart Chef’s Style Gas Grill can be yours to help you roast the meat of your choice while relying on the indirect grilling method. Grilling will become your preferred way of preparing meals once you make an effort to invest in a gas grill. You can even impress your family and friends with your new cooking skills, and one of the affordable grills reviewed above is a great place to start.